SKU: Dart Solo WX9-64568 Motel and Hotel 9 oz. 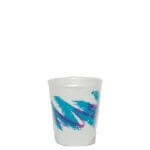 Individually Wrapped Hot / Cold Cup with Jazz Design - 900/Case. Categories: DART, PAPER COLD CUPS / LIDS, PAPER COLD CUPS / LIDS-1, PAPER CUPS / LIDS, PAPER CUPS / LIDS-1.